BERG have developed the Ultim Rectangular trampoline - this smart looking rectangular trampoline with enclosure offers a superb bounce due to the TwinSpring Gold System. 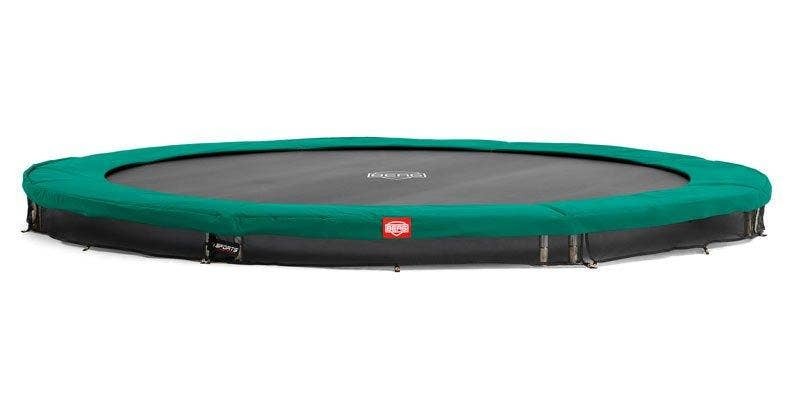 The rectangular shape of the Ultim ensures an optimum jumping line rather than the optimum jumping point associated with round trampolines. This means that users can jump safely in a greater number of ways and that a larger proportion of the trampoline can be used. Thanks to its shape and construction, the BERG Ultim is ideal for anyone who wishes to have a trampoline that does not dominate their garden. The new and improved Ultim range now comes with an AirFlow bounce mat. Higher jumps mean more fun. Berg have developed the AirFlow technique to enable you to make higher jumps. This jumping mat allows 50% more air permeation compared with a standard jumpking mat. Good airflow ensures less resistance while jumping higher, which is why you can make higher jumps. The top rail of the in-ground trampoline rests on special low feet. These are fixed firmly onto the ground with the ground anchors, which are included. These feet mean that the Ultim In-Ground Trampoline is just 27 centimetres from the ground making it easy to get onto and much safer to use. 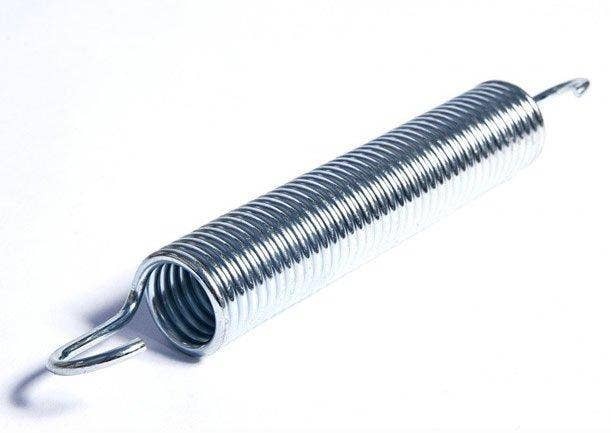 The Ultim is also equipped with BERG's Gold Springs which ensure a longer, safer and more comfortable bounce.The Goldspring is a unique spring from Berg Toys which gradually builds up the energy in the spring. It means that the forces exerted on the body are significantly reduced so you can jump higher more safely and in comfort. 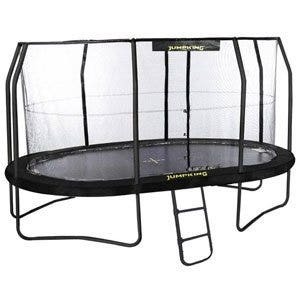 The BERG Ultim range of trampolines is of such a high specification that they offer a 13-year warranty on the frame. 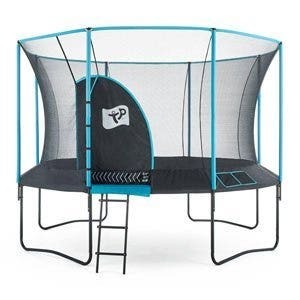 The trampoline has an integrated frame net that is attached to the trampoline. 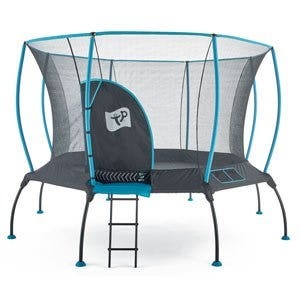 The frame net provides extra safety so that children, animals or objects cannot get under the trampoline. 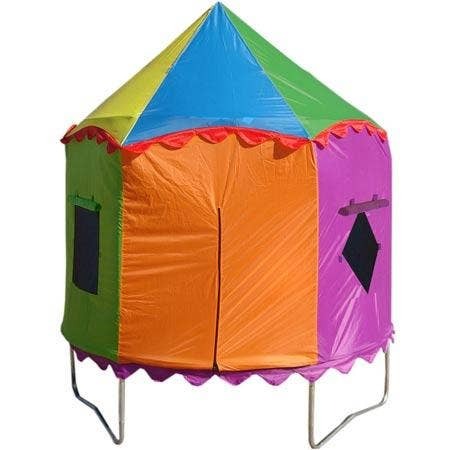 However it has a sufficient clearance area to allow you to bounce well. 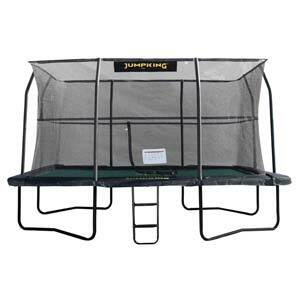 The Ultim In-Ground Trampoline needs a bowl shaped hole to be dug that is 75cm deep at its lowest point. Frame: The frame is highly rust-resistant due to the special double coating on the tubes. The tubes are first covered with a durable zinc-layer and then a beautiful black powder coating layer is put on top for extra durability. 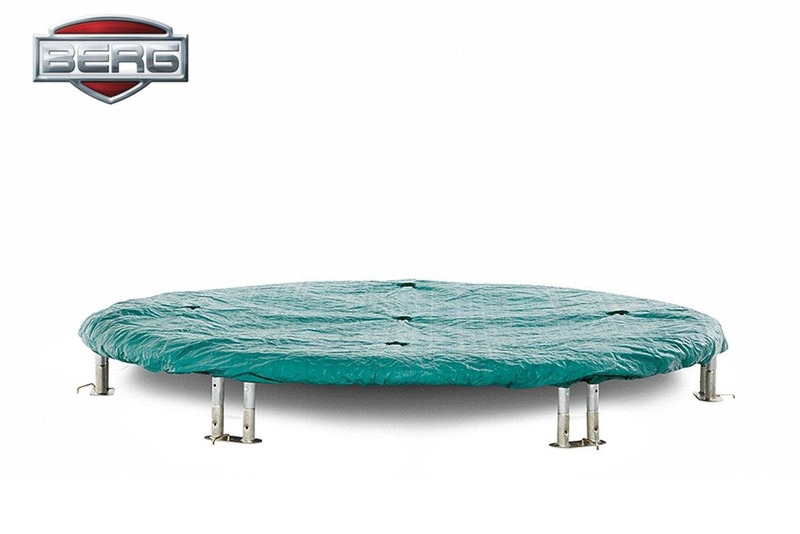 Protect your In Ground trampoline with a Berg Cover. Not only will this save you cleaning any mess off of the bed before use, it will protect the life of your trampoline. It's also a great way to let little ones know that the trampoline is out of bounds until you're ready for them to start bouncing. Please note - this cover is designed for use with trampolines that do not have enclosures.